Robert Brown was born in about 1786 in Edinburgh, Midlothian. He first appears in Gloucestershire in 1814 when he married in Cheltenham and at the time he was working as a Watchmaker. Later Robert Brown was to work in Westgate Street, Gloucester. Could this refer to the parents of Robert Brown (1786-1861)??? A Robert Brown was listed as a Watchmaker in Westgate Street in the Gloucester Directory for 1820 and also in Pigot’s Directory for the year 1822/23. In Pigot’s Directory for 1830 Robert Brown was listed as a Watch and Clock Maker of Westgate Street. We also know that in 1832 a Robert Brown received the sum of £8-0-0d for repairing and winding St Nicholas’s Church clock. This could refer to Robert Brown (1786-) or it could be the one previously mentioned in the Gloucester Journal for 1795. Robert Brown married Mary Bird at St Mary’s Parish Church, Cheltenham, on 19th September 1814. A witness at the wedding ceremony was a Charlotte Bird, her eldest sister, who was baptised at Stonehouse in 1788. Charlotte was unable to sign her name but Robert and Mary were both able to. Henry Foulkes performed the marriage and the other witness was John Barnard. Mary Bird was the daughter of Joseph and Frances Bird and she was baptised on 21st May 1793 at Stroud. According to later census returns Mary was born in Eastington some time between 1793 and 1795. However, two of the six children of Joseph and Frances Bird were actually baptised at Eastington. The Birds had one of their children christened at Stonehouse in 1788, another at Randwick in 1791, two at Stroud, in 1793 and 1796, and two in Eastington, in 1798 and 1802. We know that Robert, the first child of Robert and Mary Brown, was baptised at Cheltenham Parish Church in 1815 and from 1816 onwards the baptisms of their children took place at St Nicholas’s Church in Westgate Street, Gloucester. At the time of the 1841 census Robert was living at Longsmith Street, near to the Bolt Inn, and the address given in the Electoral Rolls for 1841 to 1861 was Bolt Lane. In the 1841 census he was described as aged fifty-five-years, a watchmaker, born out of the county. Mary, his wife, was aged forty-five-years. Their children included – James, aged five years; Charlotte, aged fifteen years; and Frances aged ten years. The Lewis Family appear to be living in the same house. At the time of the 1841 census Robert, Mary and Ellen, his children, were living in the High Street, Cheltenham. Robert was a twenty-five-year-old watchmaker and Mary a twenty-year-old milliner. Ellen was only twelve-years-old. Ten years later, in 1851, the address was given on the night of the Census as Bolt Lane and one can only conclude that they must have lived on the corner of the two roads, with the shop front facing on to Longsmith Street and the residential accommodation accessed from Bolt or Bull Lane. Robert was described as a sixty-five-year-old Watchmaker who had been born in Edinburgh. Mary, his wife, was a fifty-five-year-old woman who had been born in Eastington. His son, James, was described as a fourteen-year-old apprentice, born in Gloucester. Their granddaughter, Mary Brown, aged four years, was staying with them on the night of the census. She was a daughter of Robert Brown, Junior, of Cheltenham. In the 1861 census Robert is described as a seventy-seven year old Watchmaker of Bolt Lane, born in Scotland. His wife Mary, born in Gloucestershire, was aged sixty-seven-years. His daughter and son-in-law – James Henry and Frances Yarnold were staying with them together with William, their two-year-old child, who would later become a watchmaker in Thornbury. Robert Brown was working from 45 Longsmith Street according to various Trade Directories at least from 1852 until the 1859 Slater’s Directory. Their children included a couple who died in infancy – John Brown was buried on 6th September 1820, aged four years, and he was followed by Eleanor Brown who was buried, aged eleven weeks, on 26th September. Robert and James Brown both became watchmakers, one in Cheltenham and the other in Wotton-under-Edge. His death certificate records that Robert Brown died on 7th November 1861 at 45 Longsmith Street. He was described as a seventy-seven-year-old Watchmaker (Master) and that he died of old age (not certified). The informant was James Brown of 45 Longsmith street, who was in attendance. The death was registered on 9th November by John Oakley Packer. Robert Brown was buried on 10th November 1861, aged seventy-seven-years. The service was conducted by Charles Henry Bevan at Gloucester Cemetery (Plot 8442 1Up1Right 48). Mary Bird married Robert Brown at Cheltenham Parish Church on 19th September 1814. A witness at the wedding ceremony was a Charlotte Bird, her eldest sister, who was baptised at Stonehouse in 1788. Charlotte was unable to sign her name but Robert and Mary were both able to. Henry Foulkes performed the marriage and the other witness was John Barnard. Robert Brown was baptised on 30th April 1815 at Cheltenham Parish Church. His father was described as a Watchmaker of Cheltenham. In the 1841 census return he was living at High Street, Cheltenham and working as a watchmaker. He was described as twenty-five-years-old and with him was his sister, Mary, aged twenty, a milliner, and Ellen Brown, aged twelve. Robert married his wife Sarah Wallis on 31st May 1841 at Staverton Parish Church. He was described as a bachelor of full age, a Watchmaker, of Staverton, son of Robert Brown, Watchmaker. Sarah was described as a Spinster of full age, of Staverton, daughter of Elisha Wallis, Grocer. Both bride and groom signed their names and the witnesses were Robert Glass and Mary Ann Arkell. At about this time Robert’s uncle, Henry Bird, was living in Staverton. In 1861 Elisha Wallis, Sarah’s father was a Tea Dealer with premises at the junction of High Street and King Street, Cheltenham. Pigot’s Directory for 1842 and 1844 list Robert Brown as trading as a Watchmaker at 28 Pittville Street (partly formed in 1824 from widening of Portland Passage). Harper’s Cheltenham Directory and Guide for 1844 has him listed at 22 Pittville Street and also at 28 Brunswick Street. Hunt’s Directory of 1847 lists Robert Brown at 28 Pittville Street. According to Harper’s Directory of 1844 a Robert Brown was living at 28 Brunswick Street (An Historical Gazetteer of Cheltenham, James Hodsdon, 1997: St Paul’s. The southern section, to St Paul’s Road, was known until at least 1884 as Rutland Street; thus on 1834 map, where it appears fully built up, whereas only a short stretch of section north of St Paul’s Road is shown. Steady building here from 1836 to at least 1840 (building certs. for 21 houses). Name commemorates Duke of Brunswick’s visit to Cheltenham in 1836). In the 1851 census return Robert was living with his family at 2, Warwick Buildings, Cheltenham He was working as a watchmaker, aged thirty-six, and born in Cheltenham. His wife, Sarah, was described as thirty-two-years-old and born in Cheltenham. Their son, Robert, was a nine-year-old scholar, born in Cheltenham, Sarah was aged two years and born in Cheltenham and Eliza was aged two-years and born in Cheltenham. In the 1861 Census Robert Brown was living at 37 St Paul’s Street North. He was described as a forty-five-year-old Watchmaker, his wife, Sarah, was forty-year-old. The children included Sarah A, a seventeen-year-old, dressmaker; Eliza aged twelve, a scholar; Joseph W. aged eight, a scholar; Frances A. aged three years and Charles H. aged eight months. On that night their four-year-old daughter, Mary, was staying with her Grandparents at Bolt Lane in Gloucester. The 1871 Census found the Brown Family still living at the same address – 37 St Paul’s Street North. Robert was described, as a fifty-six-year-old Watchmaker, born in Cheltenham and Sarah, his wife, was aged fifty. The children were as follows – Robert an unmarried thirty-year-old watchmaker; Eliza at twenty-one; Joseph W. a seventeen-year-old watchmaker; Frances A at thirteen; and Charles Henry at ten years. Edwin H. Jones, a two-year-old grandson was also staying the night. This address is confirmed by Mercer & Crocker’s Directory of 1874. Robert witnessed his sister, Mary Workman’s wedding on 13th November 1873. Sarah Brown, Robert’s wife, died at 37 St Paul’s Street North on 2nd November 1876. In the 1881 census return the family was listed as living at 39 St Paul’s Street North. Robert Brown was described as a sixty-five-year-old watchmaker who had been born in Cheltenham. With him were Eliza, aged thirty-two; Joseph W. Brown, aged twenty-seven; Charles H. Brown who was aged twenty-years and his grandson, Edwin H. Jones, his eleven-year-old scholar. In an 1885 directory we find Robert Brown, or his eldest son Robert, trading from 67 Regent Street and living at 7 Sherborne Terrace (situated in Fairview Road, the westernmost six of a terrace still surviving on the north side of the present street, opposite Bence’s). What we do know is that Robert Brown made his will on 12th June 1885 and excluded his eldest son, Robert from his will. 37 St Paul Street North was to be inherited by his daughter Eliza and his son, Charles Henry Brown, was to inherit his father’s business. Robert Brown died on 15th January 1889 and was buried at Cheltenham Cemetery. According to probate records Robert Brown of 7 Sherborne Terrace, Cheltenham, watchmaker, died on 15th January 1889 at 7 Sherborne Terrace. Probate was granted on 16th January 1889 to James Brown, of 3 Long Street, Wotton-under-Edge, watchmaker and brother. Effects were valued at £394-7-0d. Robert Brown was born in about 1841. On 2nd January 1842 Robert Brown, son of Robert and Sarah, Watchmaker of 408 High Street, was baptised at St Mary’s Church, Cheltenham. In the 1851 census he was at home, aged nine years, a scholar, born in Cheltenham. He was not at home at the time of the 1861 census return but we find him at 3 Winchcombe Place (Parade, now mostly shops, continuing east side of Winchcombe Street beyond north of Pittville Gates – ‘tumble down tenements’ replaced by a new row of houses in 1884-5), Cheltenham. He was described as a nineteen-year-old watchmaker, born in Cheltenham. He was staying with Henry Pilley, a twenty-five-year-old tailor, and his family. In 1871 Robert Brown was described as a Watchmaker, aged thirty years and unmarried, living at home with his parents. In the fourth quarter of 1876 a Robert Frederick Brown married Mary (Richmond (?)) at Nottingham. In 1881 Robert Frederick Brown was a Master Watchmaker of 4 Trent Street, Nottingham. He was married, aged thirty-nine-years, and born in Cheltenham. His wife, Mary, was born in Newark, Notts, and was aged twenty-seven-years. Their daughter Edith Mary Brown, was aged one year and born in Nottingham. Robert Brown was excluded from any legacies in his father’s will of 1885. Robert Brown or his father was in 1885 trading from 67 Regent Street and living at 7 Sherborne Terrace (situated in Fairview Road, the westernmost six of a terrace still surviving on the north side of the present street, opposite Bence’s). I cannot find this family in either the 1891 or 1901 census returns. Edith Mary Brown was in the 1881 census and was living with her parents, aged one-year and born in Nottingham. On 3rd November 1894 her great aunt, Mary Workman, made her last will and testament. She gave a legacy of nineteen guineas to Edith Brown the daughter of her nephew Robert Brown. Sarah Ann Brown was born in about 1844. She was baptised at St Mary’s Church, Cheltenham, on 20th December 1844 and was described in the register as the daughter of Robert and Sarah Brown, watchmaker of Brunswick Street. She was described as a seventeen-year-old dressmaker in the 1861 census return and was living at home with her parents. On 21st October 1868 Sarah Ann married Samuel George Jones at St Luke’s Church, Marylebone, by licence. Samuel was described as a twenty-five-year-old bachelor, chemist of 8 Halam (?) Street, Belgravia, son of David Jones, farmer. Sarah Ann was a twenty-four-year-old spinster of 32 Nutford Place, daughter of Robert Brown, watchmaker. The witnesses were Charles Searle and Mary Walker (?). In 1869 Sidney was described as a chemist of Portman Square, London. The 1871 census records that Samuel G. Jones and Sarah, his wife, were living at 386 Kingsland Road, Dalston (St John’s Hackney). He was described as a twenty-nine-year-old chemist Born in Wales and she was twenty-five and born in Chillingham (sic). Their daughter, Mary F. Jones, was aged five months and born in Kingsland. In 1881 they were at the same address. Samuel was now a thirty-six-year-old chemist, born in Wales. Sarah was aged forty-two and born in Cheltenham. Florence was aged ten, Samuel aged six and Alice aged two – all three were born in Kingsland Road. In 1891 Samuel G. Jones was a forty seven (?) year old chemist born in Wales and his wife was aged forty-nine and born in Wales too (sic). Samuel was aged sixteen, an assistant, born in Kingsland as was Alice aged twelve, a scholar. In 1901 the family was still at 386 Kingsland Road. Samuel was aged fifty-seven, a chemist (drugs) shopkeeper, an employer, born in Carmarthenshire. Sarah was aged fifty-six and born in Cheltenham. Alice was aged twenty-one and was born in Hackney. In 1911 Samuel George Jones, aged sixty-eight, widower, was living in eight rooms at 8 Grove Lane, Stamford Hill, London. He had been married and had had three children, two of whom were still alive. Alice Jane was aged thirty-two, single, born in Hackney, a library assistant employed by Islington Borough Council. He died on 3rd July 1918. Edwin Henry Jones was born in Cheltenham in about 1869. He was baptised at St Paul’s Church, Cheltenham, on 27th June 1869. He was described in the baptismal register as the son of Samuel George and Sarah Ann Jones, Chemist of Portman Square, London. The 1871 Census finds Edwin living with his grandparents at 37 St Paul’s Street North. He was listed as Edwin H. Jones, a two-year-old grandson who was also staying the night. In the 1881 census return the family was listed as living at 39 St Paul’s Street North. Robert Brown was described as a sixty-five-year-old watchmaker who had been born in Cheltenham and his grandson as Edwin H. Jones, an eleven-year-old scholar. Florence Mary Haste was born on 7th November 1870 and baptised on 8th March 1871 in Hackney. She was at home for the 1871 and 1881 censuses. She married Frederick Gage Haste at St Peter’s Hackney on 31st October 1892. Florence died on 11th December 1908 at 8 rue de Suresnes, Paris. Her husband remarried on 5th February 1930 and died on 22nd December 1933 at 2 rue Debrousse, Paris. According to probate records the administration was granted on 25th May to Jeanne Barbe Constance Haste, widow, and Helen Neamie Haste, spinster. The effects were valued at £500. Samuel Jones was born in about 1874 in the Kingsland Road. He was at home for the 1881 and 1891 censuses. He was recorded in the latter return as assisting his father. Alice Jones was born in about 1879 in Kingsland Road. She was at home for the 1881 census, 1891 census and in 1901 she was described as aged twenty one and born at Hackney. Ellen Mary was born in about 1846 in Cheltenham. She was baptised at St Mary’s Cheltenham on 11th September 1846 and was described in the register as the daughter of Robert and Sarah Brown of 22 Brunswick Street, watchmaker. She was with her grandparents in Gloucester on the night of the 1851 census. Mary Ellen was buried in Cheltenham New Burial Ground on 10th May 1851 aged five years. Eliza Brown was born in about 1848 in Cheltenham. On 11th May 1849 she was baptised at St Mary’s Cheltenham and described in the register as the daughter of Robert and Sarah Brown, watchmaker of Brunswick Street. She was at home with her parents and aged twelve years at the time of the 1861 census. In 1871 she was still at home and unmarried. She witnessed the marriage of her aunt, Mary Workman, on 13th November 1873. In the 1881 census return she was living at home with her father, aged thirty-two. She was to inherit 37 (39?) St Paul Street North in her father’s will of 1885. On 12th October 1889 Eliza married Frederick John Maslin at St Mary’s Parish Church, Cheltenham. She was described as a forty-year-old spinster of 7 Sherborne Street, daughter of Robert Brown (deceased) watchmaker. Frederick of 7 Sherborne Street, was aged twenty-eight, a bachelor, decorator, and son of William Maslin an independent gentleman. The witnesses were Sykes George Adcock, I Maslin and Henry Albert Maslin. In 1891 the Maslins were living at 7 Sherborne Terrace. He was a twenty-nine-year-old decorator, born in Cheltenham and Ellen was aged forty-two and born in Cheltenham. In 1901 Frederick and Eliza Maslin were living at 74 Fairview Road. He was a thirty-eight-year-old paper hanger (own account), born in Cheltenham, and she was aged fifty-one and born in Cheltenham too. Their daughter Louisa L. Maslin, was aged eight and born in Cheltenham. In 1911 The Maslins were in five rooms at 35 Victoria Place, Cheltenham. Frederick was a forty-eight-year-old house decorator working on his own account and born in Cheltenham. His wife was aged sixty-one and had been married for twenty-three years and had one child. She was born in Cheltenham. Their daughter Louisa Liliam Maslin, was aged eighteen, single, born in Cheltenham and working as a dressmaker. Frederick John Maslin of 51 Winstonian Road, Cheltenham, died on 1st September 1929. Administration was granted at Gloucester to Louise Lillian McKeand, wife of Norman McKeand, on 21st November. Effects were valued at £219-4-3d. Louise Lillian McKeand was born on 17th September 1892 in Cheltenham. She was at home for the 1901 and 1911 censuses. She married Norman McKeand in 1929 and died in Slough in 1979. Joseph was born in about 1853 in Cheltenham. He was baptised on 18th May 1853 at St Mary’s Church, Cheltenham, and was described in the register as the son of Robert and Sarah Brown, Watchmaker of St Paul’s Street. He was described in the 1871 census as a seventeen-year-old Watchmaker living at home with his parents. In the 1881 census return he was described as a twenty-seven-year-old living at home at 39 St Paul’s Street North. In the 1891 census he was living as a boarder with Rosa Payne at 11 Hereford Place (between Lower High Street and Swindon Road), Cheltenham. He was described as a thirty-six-year-old watchmaker and clock maker. In 1901 he was living at Cumberland Cottage, Grove Street, Cheltenham, which was a common lodging house. He was described as a forty-seven-year-old watchmaker working on his own account at home. Frances Brown was born in about 1857 and was described in the 1861 census as three-years-old. In 1871 she was again at home on the night of the census and aged thirteen years. Frances Amelia Brown died during the last quarter of 1872 aged fourteen years within Cheltenham Registration District. Charles Brown was born in 1860 in Cheltenham and was just eight months old on the night of the census. He was baptised at St Paul’s Church on 28th July 1861 and was described as the son of Robert and Sarah Brown, watchmaker, of 37 St Paul’s Street North. He was ten-years-old and living at home in the 1871 census return. In 1885 he was to inherit his father’s business. In 1901 he was living at 324 Alcester Road, Kings Norton, Birmingham and working as a Jeweller’s traveller. He was described as forty-years-old, a worker, and born in Cheltenham. His wife, Florence E. Brown, was aged thirty-eight-years and born in Birmingham. John Brown was baptised on 15th September 1816 at St Nicholas, Gloucester. He was buried from there on 6th September 1820. Mary Brown was baptised on 11th October 1818 at St Nicholas, Gloucester. In the 1841 census Mary was living in the High Street, Cheltenham, with her brother Robert and sister Ellen She was described as a twenty-year-old milliner. At the time of the 1851 census she was living as a lodger along with her sisters Ellen and Fanny at Oriel House, Bath Road, Cheltenham. The head of the household was Robert Hewer, a stonemason. All three Brown sisters were described as dressmakers and born in Gloucester. Mary was aged thirty-one-years; Hellen (sic) aged twenty-one years and Fanny aged nineteen years. By the time of the 1861 census Mary had moved to live at 2 Corpus Street, Cheltenham, where she was living with Charlotte Kelley, a sixty-nine-year-old widow described as a Post Office Keeper and born in Stroud. Mary was listed as a forty-year-old spinster working as a dressmaker and born in Gloucester. With them was Emma Bird, presumably a cousin of Mary, who was aged twenty-seven-years and working as a dressmaker. Significantly she was born in Eastington. Also we find Mary Davis, a sixty-eight-year-old servant and widow who was born in Ireland. In 1871 Mary Brown was still lodging at 2 Corpus Street with Charlotte Kelley who was described as an eighty-year-old annuitant, born at Ebley. Mary’s name, which is written more like Henry Brown, was listed as a fifty-year-old unmarried dressmaker, born in Gloucester. Mary married John Workman at St Mary’s Parish Church, Cheltenham, on 13th November 1873. He was described as a Widower, of full age, Livery-Stable-Keeper, of Imperial Square, Cheltenham, the son of John Workman, a Cloth-worker. Mary was described as a Spinster of full age, residing at 413, High Street, Cheltenham, daughter of Robert Brown, Watchmaker. Both bride and groom signed their names as did the witnesses Robert Brown, her brother, and Eliza, his daughter. John Workman was in 1851 the Post Master of 6 Belmore Place (off Bath Road and Sandford Street), Cheltenham. He was described in the census as aged forty years and born in Uley. His wife then was Elizabeth, aged thirty-nine-years who was born in Laugharne, Carmarthenshire. Their children were John aged fifteen years, born in Cardiganshire, a flyman; Mary Ann aged eleven years, a scholar; Henry aged seven years; Ellen aged five years; Elizabeth aged three years and Emma aged ten months. The five younger children were all born in Cheltenham. In the Annuaire for 1860 we find J. Workman, Fly Proprietor, operating from Wolseley Villa Mews, (off Trafalgar Street, Home to a fly proprietor 1847) Cheltenham. In 1861 the family was living at Wolseley Mews and John was described as a forty-nine-year-old Fly Proprietor, born in Uley. His wife Elizabeth, aged fifty-two-years was born in Wales. Their children included Elizabeth aged thirteen years; Ellen aged sixteen years; Emma aged ten years; Henry aged eighteen years and John aged twenty-eight years and born in Aberystwyth. All the other children were born in Cheltenham. In returning thanks for the liberal support he has received for the last 23 years, begs most respectfully to inform the gentry and inhabitants of Cheltenham and its vicinity, that he has Removed to the above Commodious Mews, lately occupied by Mr. T. Kitchener, where he trusts by strict attention to orders to merit a continuance of their patronage and support. In 1871 the Workman Family was still living at Imperial Mews. John Workman, aged sixty-years was a Livery Stable Keeper, born in Uley; Elizabeth was aged fifty-three-years and born in Carmarthen. Emma, their daughter, was at home, aged nineteen years and they had a resident servant Louisa Commol of the same age. John Workman’s elder son, John, died in Cheltenham Registration District during the second quarter of 1871 aged thirty years. His mother, Elizabeth Workman, died in the Cheltenham Registration District during the second quarter of 1872, aged sixty-three-years, leaving John Workman a widower. John Workman married Mary Brown in Cheltenham registration district during the fourth quarter of 1873. In a Trade Directory for 1876 (check) John Workman was described as a Fly and Pony Carriage Proprietor of Imperial Mews. On 18th April 1876 John Workman made his will. He was described as a Fly Proprietor and Livery Stable Keeper. The executors and trustees were to be his nephew Henry Workman, a Coal Merchant of Cheltenham, and James Dowrick, a Banker’s Clerk of Gloucester. All his property was to pass to his five children Henry Workman, Mary-Ann Williams, Ellen wife of Thomas Peroteess (sp? ), Elizabeth wife of Charles Humphreys and Emma wife of Thomas Birchley. No provision was made in the will for his wife Mary. John Workman died on 25th April 1878 in the Cheltenham Registration District aged sixty-seven-years leaving Mary a widow. On Mary Workman’s tombstone at Berkeley it states that she was ‘of Imperial Mews, Cheltenham’. The will was proved on 30th May 1878 and was valued at under £4,000. The business passed to John’s surviving son Henry Workman. At the time of the 1881 census he was described as a thirty-six-year-old Livery Stable Keeper employing nine men and residing at premises ‘at the back of Imperial Square’. His wife Harriet was aged thirty-six-years and their children included Henry aged twelve years; William H. aged eleven years and Florence B. aged fourteen years. In 1901 Henry was described as a Cab Proprietor, aged fifty-seven-years and he was living with his wife Frances, aged forty-years and born in Ireland. In the 1904 Directory we find that H. Workman of Imperial Lane was a Fly and Pony Carriage Proprietor. Returning to Mary Workman we find her in the 1881 census as a sixty-two-year-old widow and retired milliner, born in Gloucester, lodging with Emma Meyer, a sixty-nine-year-old milliner, at 10 Portland Street, Cheltenham. Cheltenham MEMORIES; Handwritten Mss papers found in box of books – no name of scribe but obviously notes taken at and interview of persons whose memories these are. ‘Mrs Watts: War memories 1914-1918. Interviewed October 1984. Mrs Watts used to travel from Cheltenham to Quedgeley to work in the munitions factory there. Leaving home at 7am she used to walk to the Midland Station to catch the train through to Quedgeley. Sometimes she worked night shifts. She was a nursemaid 15-16 years old in 1912-1913. Munitions 17-18 years old 1914-1915. NAAFI and then Toy Industry. In 1891 Mary Workman was visiting Mary Ann Banner, a widow and milliner and dressmaker of 20 Sherborne Place (off Albion Street), Cheltenham. Mary Workman was a seventy-year-old widow, living off her own means, and born in Gloucester. Mary Ann’s family included two daughters together with Susanna Clayton, a sixty-eight-year-old upholsterer and widow was also in residence. On 3rd November 1894 Mary Workman of 4 Sherborne Terrace, Cheltenham, a Widow, made her last will and testament. She left her gold watch and chain and locket to her eldest niece living at the time of her death. She gave a legacy of nineteen guineas to her niece Alice Yarnold and a legacy of nineteen guineas to Edith Brown the daughter of her nephew Robert Brown. All the rest of her property was to pass to her brother, James Brown, of 3 Long Street, Wotton-under-Edge, a Jeweller. The witnesses were Fred. W. Fry of Merlin Haven Lodge, Wotton and Edwin Minett Robinson of The Butts, Wotton. In 1901 the census she was living with her brother and sister-in-law, James and Jane Brown in Long Street, Wotton-under-Edge. Her name was given as Mary Workman and she was described as being aged eighty-two-years and living from her own means. She had also been born in Gloucester. Two other relatives of Jane were living with them. Mary Workman died on 9th April 1906 at Pedington, Berkeley, aged eighty-seven-years. Her will was proved on 24th May 1906 and her brother, James Brown, was appointed her Sole Executor. Eleanor Brown was baptised on 20th August 1820 at St Nicholas, Gloucester, and buried from there on 26th September aged eleven weeks. Alexander Brown was baptised on 10th February 1822 at St Nicholas, Gloucester. I cannot find him in the 1841 census. In 1851 he was living at 35 Hall Street, Dudley in the home of Elijah Bourne, a collier, born at Rowley Regis. Alexander was described as a twenty-nine-year-old Journeyman Watchmaker, born in Gloucestershire. The list appears to give the lodger the name Bourne as well but this is clearly an error. Alexander probably married Mary Ann Mullender in 1852 within Dudley Registration District. In 1861 Alexander and Mary Ann Brown were living at New Mill Street, Dudley. He was described as a thirty-nine-year-old Master Watchmaker, born at Gloucester and his wife was aged thirty-three-years and born at Wolverhampton in Staffordshire. Their children included Alice Mary, aged eight-years, a scholar, born at Dudley and Robert aged six years, a scholar, born at Dudley. Living with Alexander and Mary Ann was James Brown, his brother, aged twenty-four-years, a watchmaker, born Dudley (sic). In 1871 Alexander and Mary Ann were still at 1 New Mill Street. He was a forty-nine-year-old watchmaker. His wife Mary Ann was aged forty-three-years and born at Wolverhampton. Their children included Alice aged eighteen, Robert, a sixteen-year-old watchmaker’s assistant, and Mary, a nine-year-old scholar. All these children were born in Dudley. In 1881 Alexander and Mary Ann were still at the same address and he was a fifty-nine-year-old watchmaker, born in Gloucester. She was fifty-three and born in Wolverhampton. Their children at home included Robert, a twenty-nine-year-old watchmaker and Mary a nineteen-year-old dressmaker. Both were born in Dudley. In 1891 Alexander was a sixty-eight-year-old watchmaker born in Gloucester and his wife was sixty-three and born in Wolverhampton. 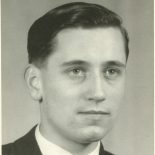 Robert J. Brown was listed as thirty-six-years-old and Mary as a twenty-nine-year-old dressmaker. Again both were natives of Dudley. Alexander Brown probably died during the second quarter of 1893 in Dudley Registration District aged seventy-years. Finally in 1901 we find Mary Ann Brown, a seventy-three-year-old widow, born at Wolverhampton, living at 1 New Mill Street, Dudley. With her was her son Robert Brown, aged forty-five-years, a watchmaker working on his own account at home and born at Dudley. Alice Mary Brown was born in Dudley in about 1852. She was at home aged eight years at the time of the 1861 census and a scholar. In 1871 she was at home aged eighteen years. Robert Brown was born in about 1854 at Dudley. He was at home for all the census returns from 1861 until 1901. In 1861 he was described as a scholar, in 1871 as a watchmaker’s assistant and from 1881 as a watchmaker of 1 New Mill Street, Dudley. Mary Brown was born in about 1861 at Dudley. She was at home for the 1871 census aged nine years and a scholar. She was still at home in 1881 and 1891 and described as a dressmaker. Charlotte Brown was baptised on 29th February 1824 at St Nicholas, Gloucester. In the 1841 census she was aged fifteen years and living at home. A Charlotte Brown died during the last quarter of 1843 in Gloucester Registration District. In 1851 a Charlotte Brown, aged twenty-eight-years and born at Ockham (Dockham in Cheltenham? ), Gloucestershire, was living at 21 Rodney Terrace, Cheltenham, and working as a servant. Her employer was Montague Alex, a dentist. Edwin Brown was baptised on 2nd April 1826 at St Nicholas, Gloucester and buried from there on 20th October 1826 aged ten months. Ellen Brown was baptised on 16th September 1829 at St Nicholas, Gloucester. In 1841 the census return states that she was living with her brother Robert and her sister Mary in the High Street, Cheltenham when she was twelve-years-old. At the time of the 1851 census Ellen was living as a lodger along with her sisters Mary and Fanny at Oriel House, Bath Road, Cheltenham. The head of the household was Robert Hewer, a stonemason. All three Brown sisters were described as dressmakers and born in Gloucester. Mary was aged thirty-one-years; Hellen (sic) aged twenty-one years and Fanny aged nineteen years. Ellen was a witness at the wedding of James Henry Yarnold and her sister, Frances in 1856. An Ellen Brown married in Cheltenham Registration District during the final quarter of 1856 and probably married Daniel Martin. This Ellen is younger and born in Cheltenham. James Brown was baptised on 2nd October 1836 at St Nicholas, Gloucester. In the 1841 census he was aged five years and living at home with his parents. He worked for his father and was described as his fourteen-year-old apprentice in the 1851 census. On the night of the 1861 census James Brown was staying with his brother Alexander and his wife Mary Ann at New Mill Street, Dudley. Alexander was described in the return as a thirty-nine-year-old Master Watchmaker, born at Gloucester and his wife was aged thirty-three-years and born at Wolverhampton in Staffordshire. Their children included Alice Mary, aged eight-years, a scholar, born at Dudley and Robert aged six years, a scholar, born at Dudley. James Brown was listed as aged twenty-four-years, a watchmaker, born Dudley (sic). James Brown, of 45 Longsmith Street, was in attendance when his father died on 7th November 1861 and he was the informant when the death was registered on 9th November by John Oakley Packer. In 1863 he was probably trading from 3 College Street, Gloucester. He married Jane Lydiard on 2nd March 1863 at St Mary de Crypt, Gloucester. She was born in about 1841 at Cricklade, Wiltshire. He was probably running a watchmaker’s business in Market Street, Wotton-under-Edge by 1867 and at 3 Long Street, Wotton-under-Edge by 1875. In the 1871 census return he was described as a thirty-one-year-old watchmaker and his wife, Jane, who had been born in Cricklade, was thirty-years-old. They lived in the fifth property listed in Market Street. Living with them was their niece, Emily Yarnold, who was described as a six-year-old scholar, born in Gloucester. In the 1881 Census he was still at Long Street and was described as a forty-four-year-old Watchmaker. His wife, Jane, aged thirty-nine-years, said that her place f birth was Cricklade, Wilts. With them was his niece, Emily Yarnold, who was described as a sixteen-year-old Watchmaker’s Assistant. Emily’s mother had died when she was only thirteen so the couple seem to have taken care of her. Ten years later the census return reveals that Emily was still living and working with Uncle James and Aunt Jane at their shop in Long Street, Wotton-under-Edge. She married Ernest Edward Eley in 1893. Wedding – On Tuesday at Tortworth Parish Church the marriage took place of Miss Emily Yarnold, niece of Mr James Brown of Wotton-under-Edge with Ernest, 3rd son of the late Mr. James Eley of Maryford Farm, Kingswood and Mrs. Eley, now of Tortworth Farm. The bridegroom is already a tenant on Earl Ducie’s Estate at Brook Farm. The Rector of Tortworth, Rev. P. Arthur, officiated. The bride’s uncle, Mr. Brown, gave her away and she was attended by Miss Eley and Miss Kate Eley (sisters of the bridegroom) and Miss L.Dean of Stroud as bridesmaids. She wore a white dress… Mr Shield Eley accompanied his brother as best man. Again in 1901 James Brown was listed as living at 38 Long Street with his wife Jane. By now he was sixty-four and she was sixty. Living with them was his sister Mary Workman who was described as living from her own means. James was described as a watchmaker who had been born in Gloucester. His wife Jane gave her place of birth as being at Malmesbury. Mary Workman was aged eighty-two-years and she had also been born in Gloucester like her brother. Two other relatives of Jane were living with them on the evening of the census. 1889: James Brown…established twenty years…. ‘Mr. J. Brown’ was on the committee of Wotton-under-Edge Horticultural Society in 1882. According to probate records his brother Robert Brown of 7 Sherborne Terrace, Cheltenham, watchmaker, died on 15th January 1889 at 7 Sherborne Terrace. Probate was granted on 16th January 1889 to James Brown, of 3 Long Street, Wotton-under-Edge, watchmaker and brother. Effects were valued at £394-7-0d. He later became Publican of The Salutation Inn, at Ham, Berkeley, and he later remarried after his wife’s death. The index of births, marriages and deaths for the Gloucester Journal includes an entry for Jane Brown who died on 8th April 1906 at Pedington – ‘late of Wotton-under-Edge’. Her burial took place from Berkeley Parish Church on 13th June 1906. She was described as ‘of Pedington’ and her age was given as sixty-six-years-old. She was living close to her niece Emily Eley and her family at Park Farm, Pedington. On 13th October 1906 James Brown married Elizabeth Cope at Berkeley Parish Church. He was described as a seventy-year-old widower and jeweller, son of Robert Brown, jeweller. She was a spinster, aged fifty-two-years, an innkeeper and daughter of James Cope, a plasterer. The witnesses were Fred Merrett and Hilda Martha Cope. Royce Denning in his ‘A History of Berkeley Vale’ lists landlords of the Salutation at Ham. James Cope was listed in 1902, Elizabeth Brown in 1910 and Edward Hasker in 1931. In 1859 William Cope was a plasterer of Salter Street in Berkeley. In 1911 James Brown was living in eight rooms at the Salutation, Ham, Berkeley. He was described as seventy-four-years-old and married for five years. He was born at Gloucester. His wife Elizabeth Brown was aged fifty-seven-years and was described as the Licensee – Beerhouse. She was an employer and was born at Berkeley. Also resident were Minnie Holdford her seventeen-year-old niece born in Churchdown; Bertha Holdford, her niece-in-law born in Cheltenham and married for two years with one child; James Holdford her ten month old nephew born in Churchdown. With them was a forty-four –year-old lodger. On 13th August 1920 James Brown made his will. He was described as a retired jeweller. He bequeathed all his property to his wife Elizabeth Brown for her use absolutely. The witnesses were Wm Hatten and Wm. S. Hatten, clerks to Messrs. Scott, solicitors, of Berkeley. James Brown died on 5th April 1921 at the Salutation Inn, Ham, and was buried on Saturday 9th April. The Dursley Gazette for 9th April reported that he had died aged eighty-four-years and that his funeral would take place at 3pm on that day at Berkeley Cemetery. He was described as ‘of the Salutation, Ham and late of Wotton-under-Edge’. Probate was granted to Elizabeth Brown on 10th May 1921, she being the sole executor. Elizabeth Brown made her will on 24th December 1922. She was living at the Salutation Inn and she left £50 to her nephew and nieces – Henry James Cope of 11 Park Hill Avenue, Mornington, Dunedin, New Zealand; Hannah Elizabeth Dean of Selsdon Hall, Wolverhampton; Hilda Martha Cope of 8 Old Street, Clevedon and Minnie Hill of Ham, Berkeley. She made further bequests to Eva Hill, her God child, of £20 and Bessie Cope of Cannonbury Street, Berkeley £12. The residue was to be divided amongst her nephews and nieces. The witnesses were George Hill, a groom of Ham and Harry James Holford, a signalman of Station Cottage, Broadway. Probate was granted on 2nd December 1933. This entry was posted on May 24, 2016 by Richard Barton in Yarnold and tagged Bull Lane Gloucester, Cheltenham, Eastington, Edinburgh, Gloucester, Gloucestershire, James Henry Yarnold, Longsmith Street, Mary Bird, Midlothian, Watchmaker.